THIS is how we see the coming year shaping up. The matters described below are already on our watch lists, but we know that there will also be unanticipated events. Our estimate is that at least half of all legislators and bureaucrats are incurably befuddled, so they’re always unpredictable. For creationists, whether in or outside of government, the percentage is considerably higher. Therefore it’s quite impossible to predict what they’ll do in the year ahead. What follows, however, is a list of the events we’re watching. Several states will introduce new creationist legislation. Because creationism is a lifetime obsession for some legislators, they introduce the same bills year after year. Therefore, the states so affected will include many that have already dealt with such legislation in the past. It’s likely that we’ll see more attempts to enact some version of the Academic Freedom Act, sponsored by the neo-theocrats at the Discovery Institute’s Center for Science and Culture (a/k/a the Discoveroids). All such laws, and the newer versions that require teaching evolution’s alleged “weaknesses,” are intended to impose state-mandated affirmative action for creationism. Because these efforts depend on activist creationists in state legislatures, we keep a list of names. For example, two creationist players in the past year were Ronda Storms and Stephen Wise in Florida. That state is a major target for the creationists, and those two are still members of the state Senate. We expect to be hearing from them. Elsewhere, we need to watch Bill Hardiman and John Moolenaar in Michigan, David Grimes in Alabama, Rod Roberts in Iowa, Gary Chism in Mississippi, Robert Wayne Cooper in Missouri, Randy Brogdon in Oklahoma, Michael Fair in South Carolina, and probably Steve Abrams in the Kansas Senate. Also, Wayne Christian and Leo Berman were the sponsors of some Texas creationist bills, so they need to be watched. Ben Nevers in Louisiana is still on our list. He’s already accomplished his goal of passing an “academic freedom” bill, but he may try something else. 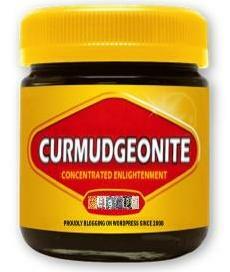 For all such legislative attempts, we shall continue to urge rational members of those lawmaking bodies to consider The Curmudgeon’s Amendment, although no one has paid any attention to it yet. It’s designed to neutralize “academic freedom” laws. Then, as a potential legal argument (merely one of many that can be made) we suggest trying this: “Academic Freedom Act” — Presumptively Void. Regarding the dates for legislative sessions, this website has useful information, but it’s always subject to change: 2010 State Legislative Sessions (pdf file). The coming GOP nomination contest for next year’s Florida Senate race should be interesting. It’s between Charlie Crist, the current governor, and former Florida House Speaker Marco Rubio, who has a history of supporting creationism. See: Marco Rubio: Creationist Theocrat for Senator? The Ohio governor’s race may be interesting. See: John Kasich of Ohio: Creationist. Expect more creationist books to be written. There’s a big market for pseudo-science and the occult. If you really must read a crazy book, instead of creationism we recommend buying something about crop circles — they have such pretty pictures. Creationists will continue to produce and promote their strange “documentaries” like the one we mentioned here: WorldNetDaily Praises Voyage of the Blind, about a trip to the Galapagos Islands that allegedly debunks evolution. We assume that the people who make such films get paid for doing it, and that’s fine with us. But if we’re not careful, material like that will end up in some unfortunate kid’s science class. Creationist articles, especially by Discoveroids, will pop up in otherwise respectable news sources and magazines. Journalists rarely know anything about science, so they’re always vulnerable to the peculiar jargon-filled essays that Discoveroids know how to write. Journalism is therefore a continuing target of creationists. The usual creationist websites and museums will continue to flourish. Ignorant people take vacations, and they also cruise the internet. They need their entertainment. The creationist-dominated Texas Board of Education (BOE), presided over by Gail Lowe, successor to the creationist dentist Don McLeroy, who was disgraced when his nomination for the chairmanship was rejected by the state Senate, will have a hearing on new textbooks in January. We discussed the textbook issue here: Creationism: One of the Top Texas Stories. In that same post we mentioned several elections pending in which many of the current hard-core creationists have either declined to run again or are being challenged. Several court cases about The Controversy are still in process, or on appeal. You can find links to our articles on many of them here: The Controversy. Among the still-unresolved cases we’ve discussed are the Christina Comer case, the James Corbett case, the John Freshwater affair, and ICR’s Texas Accreditation case. But we haven’t written about all the creationist litigation that’s out there. There’s also the appeal in ACSI et al. v. Stearns et al., which is still pending. The case involves the Association of Christian Schools International and a few other plaintiffs, suing the University of California system over UC’s refusal to recognize various high school level creationist courses taught by homeschoolers and some private schools, when UC is evaluating the qualifications of applicants for admission. That link to the National Center for Science Education should keep you informed. We’re waiting for something to get started in Louisiana, now that they’ve got the nation’s only “academic freedom” bill on the books, but so far things have been quiet in that state. It’s impossible to know what’s really happening in the US Congress, because they keep passing 1,000-page bills and no one knows what’s in them. We’re not aware of anything at the moment that affects the Controversy, but we keep an eye on especially goofy legislators. For example: Mark Souder, Creationist Congressman. Their minor eruptions are sometimes amusing, but rarely of any real importance. There will always be a few local boards that reveal their insanity during the year, which is understandable. Most voters don’t pay attention to such elections, and many boards end up populated by ostensibly civic-minded real estate brokers, insurance salesmen, funeral directors, used car dealers, and dentists’ wives; but they’re really out to promote their own businesses or to relieve boredom. Such people are utterly unqualified to make decisions about science curricula and texts, but they often imagine themselves to be on a divinely ordained mission to teach creationism in government schools. We anticipate that a brief lecture by their attorneys about the Kitzmiller vs Dover decision will be sufficient to overcome such occurrences. That’s all it’s taken to stifle such outbreaks in recent years. As in previous years, creationist political agitation in the US seems primarily due to the activities of the neo-theocrats at the Discovery Institute’s Center for Science and Culture (a/k/a the Discoveroids). Our original analysis of their goals and intentions remains operative, presented here: Enemies of the Enlightenment. From past experience, the Discoveroids have learned that they’re always going to be vigorously opposed, so it’s only worth their time to operate at the state or national level. Besides supporting “academic freedom” legislation, Discoveroids know that the elected or appointed functionaries in state-level school boards can have a big impact — not only on classroom curricula, but also on textbook purchases. The Discoveroids’ asset base consists of two parts. The first is their visible “think tank” in Seattle, which enjoys significant sources of funding. But that’s merely the tip of the iceberg. The second part is a large, faith-based network of sympathetic supporters whom they’ve backed in elections to local school boards and state legislatures around the country, including some members of Congress. They also have an undetermined number of other accomplices in various advocacy groups and in the media. Some of them are card-carrying creationists, while others are fellow travelers and useful idiots who eagerly do the Discoveroids’ bidding. Due to their failed efforts to gain scientific respectability, creationists’ only hope is in the field of politics. They need a sympathetic majority on the US Supreme Court, in order to reverse a string of decisions which have prevented their ideology from being promoted in government schools. Their plans for that seem to be thwarted by recent political developments, thus there should be little to concern us in that regard for the immediate future. So that’s how we see the coming year. It’ll be like the last year, which was like the year before. People come and go, code words are altered, tactics evolve, but the game never really changes. And it will never end. They don’t contribute, to be sure, but I have to wonder. On one hand they do waste valuable time and resources of real scientists and science-supporters who have to counter their endless misinformation. Yet they also “keep us on our toes” by reminding us never to sell out to pseudoscience regardless of the temptation. Frank, some of us do it for entertainment and to keep our minds sharp as well as to counter the endless crap infesting their media. It’s like poking a dead body with a stick, every once in a while something interesting pops up. Rest well over the New Year’s holiday, Curmy. You’ve got your work cut out for you in the upcoming year. Do you ever feel like the protagonist in “Night of the Living Dead”, fighting off creotard zombies day and night? We look forward to your offerings this coming year! Actually, there are two prefiled bills in South Carolina, SB 873, which you mention, and SB 875, a standard “academic freedom” bill. Thanks, Glenn. I’ll be adding that to the post. Good to have you looking over my shoulder. What’s up with “David Grimes in Alabama”? Would appreciate hearing more. Right here, Colin: Alabama Creationism: Another “Freedom” Bill. One such bill promoting creationism in Iowa died in committee. It will be interesting to see if it stays dead. Let’s hope so.